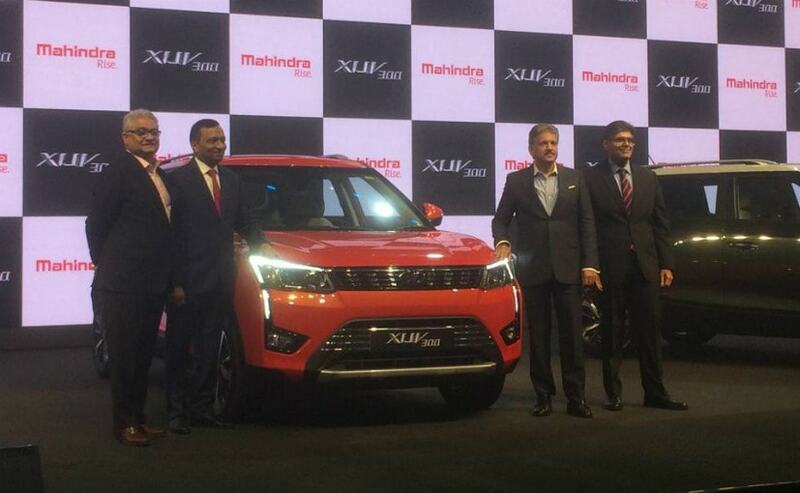 The newest subcompact SUV, Mahindra XUV300, has been launched in India and its prices start at Rs. 7.90 lakh. The new XUV300 gets a host of first-in-class features along with two engine options, making it a good proposition. The all-new 2019 Mahindra XUV300 has been launched in India, with prices starting at ₹ 7.90 lakh for the base W4 petrol variant and goes up to ₹ 11.99 lakh for the top-spec W8 (O) diesel variant. The new XUV300 is the newest sub-compact SUV in the segment and will go up against the likes of the Maruti Suzuki Vitara Brezza, Ford EcoSport and the Tata Nexon. The XUV300 gets four variants each for petrol and diesel which are W4, W6 W8 and W8 (O). 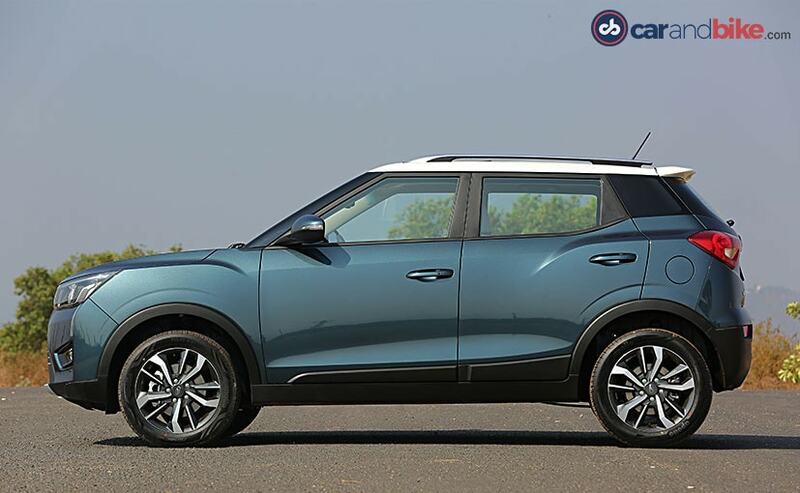 Carandbike has already driven the Mahindra XUV300 in Goa earlier in February 2019, where we were impressed by the overall quality along with the performance, which is par for the course in its segment. The XUV300 is based on the SsangYong Tivoli platform but has been shortened in order to fit in the sub 4-metre bracket. It is still the widest and has the longest wheelbase in the subcompact SUV segment. The Mahindra XUV300 has been brought to our market after extensive research and Mahindra claims to have customised it to go with the likings of Indian car buyers and suit the Indian road condition. 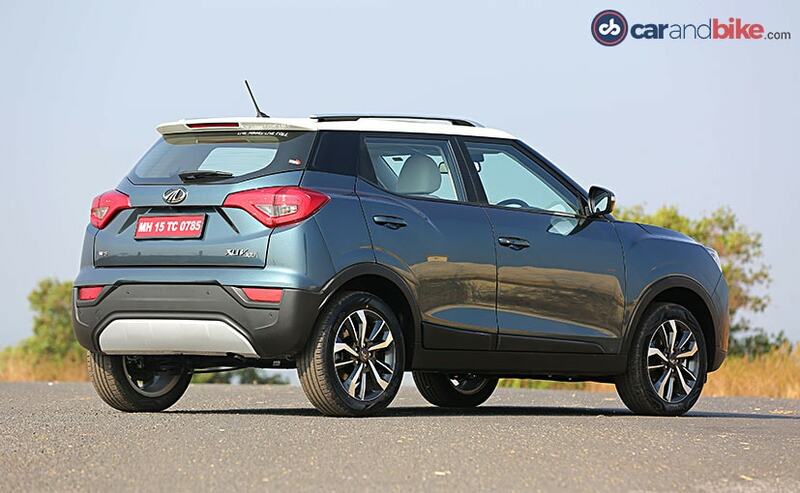 Let's get into the details of the latest subcompact SUV in India. The design of the Mahindra XUV300 has been inspired by the Cheetah which refers to the front end along with the character lines on the sides of the car in this case. The design of the new XUV300 is edgy and stylish! We like the way the front end looks. The slim grille is accentuated by the LED projector headlamps and daytime running lamps give it a sophisticated look. The fog lamps get black housing and are sort of connected to a headlamp by a thin DRL strip. View it in profile and you see the typical crossover stance. The character lines above the wheel arches add muscle to the XUV300 along with the plastic cladding on the lower edges of the car. The rear is characterised by smart-looking tail lamps and an integrated spoiler on the white, contrast roof, which looks good. 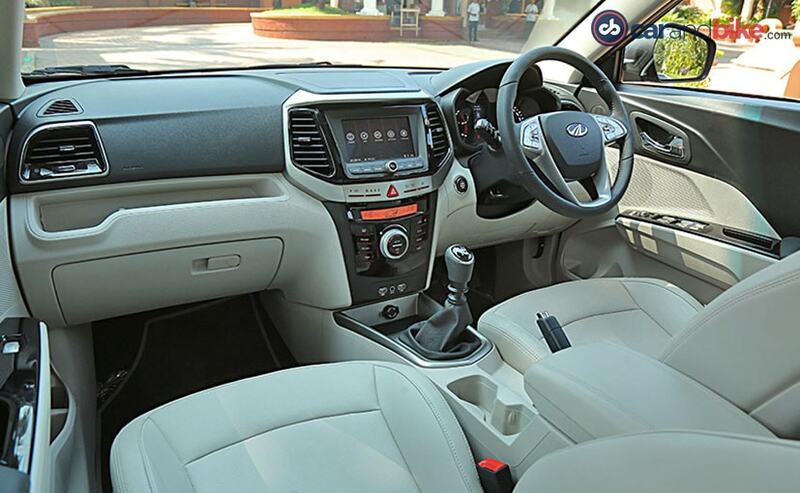 The chunky, thick C-pillar adds to the solidity of the XUV300. Mahindra has done well to pack the XUV300 with features such as dual-zone climate control with memory function, modes for steering feel, tyre pressure monitoring systems, front parking sensors and so on, the W8 and more specifically, the W8 (O) which are first-in-class features. Also, the W8 (O) variant gets 7 airbags which is again a class leading feature. Other features include an electric sunroof, cruise control, LED daytime running lamps and a new 7-inch touchscreen infotainment system, which gets smartphone connectivity in the form of Apple CarPlay and Android Auto. There is app connectivity as well where you can connect the Mahindra Blue Sense app and check your driving score. 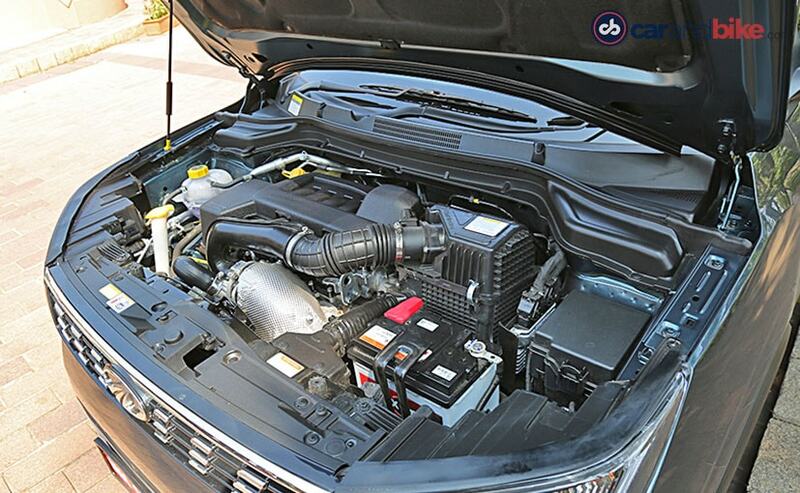 The Mahindra XUV300 will get a 1.2-litre petrol and a 1.5-litre diesel engine. The petrol engine makes 110 bhp and 200 newton metres of peak torque while the diesel engine pumps out 115 bhp and churns out a class-leading torque of 300 newton metres. A 6-speed gearbox is standard and there will be no automatic for now. In terms of dimensions, the XUV300 is 3990 mm long, 1820 mm wide and 1620 mm tall. Its wheelbase is measured at 2620 mm which gives it the largest footprint in the segment. The XUV300 has a ground clearance of 180 millimetres which is more than enough for the car to sail over all bumps and potholes that you could find in the city but is still less than that of its rivals such as the Vitara Brezza, Nexon and the EcoSport, all of which have a ground clearance of 198 millimetres and more.